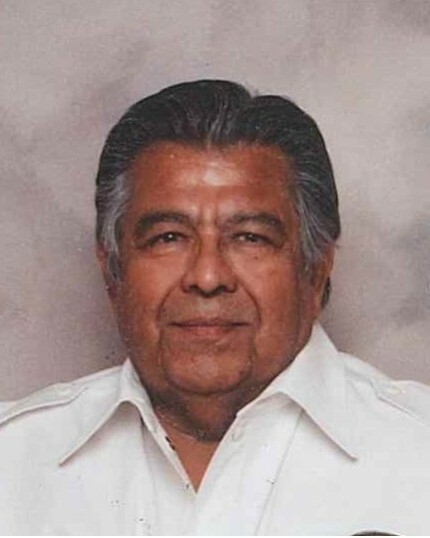 Manuel Pantaleon Ybarra, 78, of Duncan, Oklahoma died Thursday, April 11, 2019 in Lawton, Oklahoma. Funeral services will be held at 2:00 PM Tuesday, April 16, 2019 at Don Grantham Funeral Chapel. Interment will follow at Duncan Cemetery. Services are under the direction of Don Grantham Funeral Home. Manuel “Manny” Pantaleon Ybarra was born on January 2, 1941 at his home on 4th street in Lawton, Oklahoma to Manuel M. Ybarra and Antonia (D’Arce) Ybarra. Manny attended and graduated from St. Mary’s Catholic School in Lawton. He was an Eagle Scout with the Boy Scouts of America and a member of the NRA. He joined the United States Army Reserves and served his country honorably from 1961 to 1967. Manny’s early careers varied and included working as an inhalation therapist at St Anthony’s Hospital in Oklahoma City for five years. He worked as a cook for the Salas Restaurant in Lawton, with work crews building bridges, in the oil fields and in landscaping. Manny settled down in 1983 in Duncan. He and his wife Elaine started a wallcovering service business where Manny continued to work before retiring in 2006. Manny enjoyed fishing and was an avid angler and especially enjoyed spending time at Lake Humphrey’s in Duncan. He also enjoyed volunteering at the Compassion Care Clinic in Duncan. Manny is survived by his loving wife of 39 years, Elaine Ybarra of the home; his son, Marcus Ybarra; sisters, Ernestine Phelps of Hooks, Texas and Cecilla Edwards of Mansfield, Ohio; and many nieces, cousins and friends. He was preceded in death by his parents, Manuel and Antonia Ybarra; a sister, Deloris Ybarra; and his nephew, Mike Phelps.